The Wirth Chair in Sustainable Development is an endowed chair at the University of Colorado Denver. It was established in 1993 to honor the environmental and sustainable development achievements of former U.S. Senator and Undersecretary of Stat e Timothy E. Wirth. The purpose of the Wirth Chair is to foster teaching, learning, collaboration, and communication among those engaged in all sectors on issues related to sustainable development. The Chair serves as a community forum and convener and as a national and global academic center for sustainability issues. It is committed to helping governments, businesses, nonprofit groups, community organizations, and educational institutions form sustainable development partnerships and engage in practices that carefully balance economic, environmental, and expanded social welfare objectives and strategies. In his first full calendar year as the Wirth Chair, Mark Safty, along with Wirth Chair Director Jennifer Kagan, hosted and participated in a wide variety of programs related to sustainability, including high-level dialogues concerning hydraulic fracturing, sustainability teaching in K-12 education, the built environment, and climate change management and adaptation. They led the Wirth Chair’s inaugural Extended Learning Trip to East Africa, where trip participants met with energy development leaders in Uganda and Rwanda, and continued some of the Chair’s ongoing activities, including the Wirth Chair Annual Luncheon and the Sustainability Series. 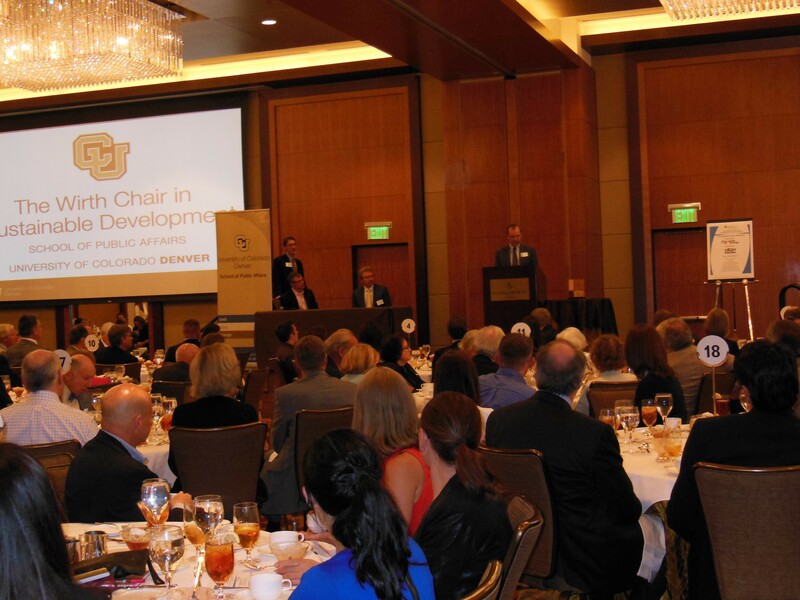 On June 16, 2014, the Wirth Chair in Sustainable Development held its 15th Annual Sustainability Awards Luncheon at the Four Seasons Hotel in downtown Denver. 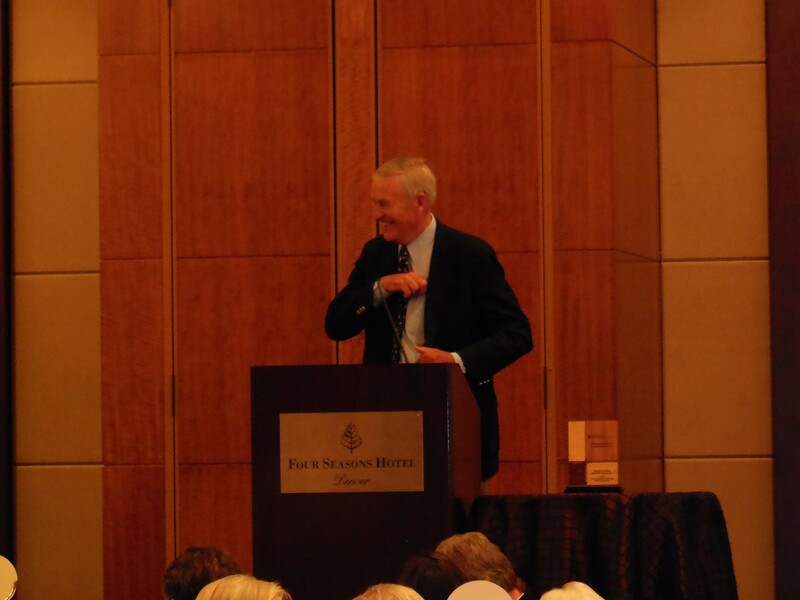 The theme of the luncheon was “Getting it Right: Heroes in Hydraulic Fracturing Policy in Colorado,” and Wirth Chair Mark Safty presented awards to those who are getting it right on this contentious issue. Award recipients were Cathy Proctor of the Denver Business Journal; Senator Ellen Roberts for her work in developing the Colorado Youth Advisory Council; and the leaders behind Colorado’s recently enacted air quality regulations, represented by Jeff Ackermann of the Colorado Energy Office, Dan Grossman of the Environmental Defense Fund, and Ted Brown of Noble Energy. Other highlights of the luncheon included a keynote address by Senator Tim Wirth; introductory remarks by Colorado Lieutenant Governor Joe Garcia and School of Public Affairs Dean Paul Teske; and a presentation by Professor Tanya Heikkila and Professor Chris Weible of the School of Public Affairs at the University of Colorado Denver regarding the politics and policies surrounding hydraulic fracturing in Colorado, based on the results from their Alfred P. Sloan Foundation funded study. In 2014, the Wirth Chair made a long-term commitment to bringing academic work on sustainability issues into the community at large. The luncheon presentation by Professors Heikkila and Weible was a part of the strategy to bring their work into public view. Following on this intention, the Wirth Chair also hosted a series of roundtable discussions for leaders involved in hydraulic fracturing. Participants represented a variety of sectors, including the oil and gas industry, environmental nonprofits, academia, mineral rights owners, and government. Each meeting sought input from the group regarding future steps for the hydraulic fracturing study and future work on the issue. Participants discussed the current state of hydraulic fracturing politics and policies in Colorado and how to move the dialogue forward. Moving to global energy, the Wirth Chair, in partnership with the Global Livingston Institute (GLI), organized the “East Africa Energy and Sustainability Trip” in August 2014. Trip participants spent two days in Kampala, where they saw an art installation made from recycled materials, visited a hospital and slum community, met with representatives from the Economic Policy Research Centre at Makerere, and met with the Commissioner of the Energy Resources Department at the Ministry of Energy and Mineral Development. 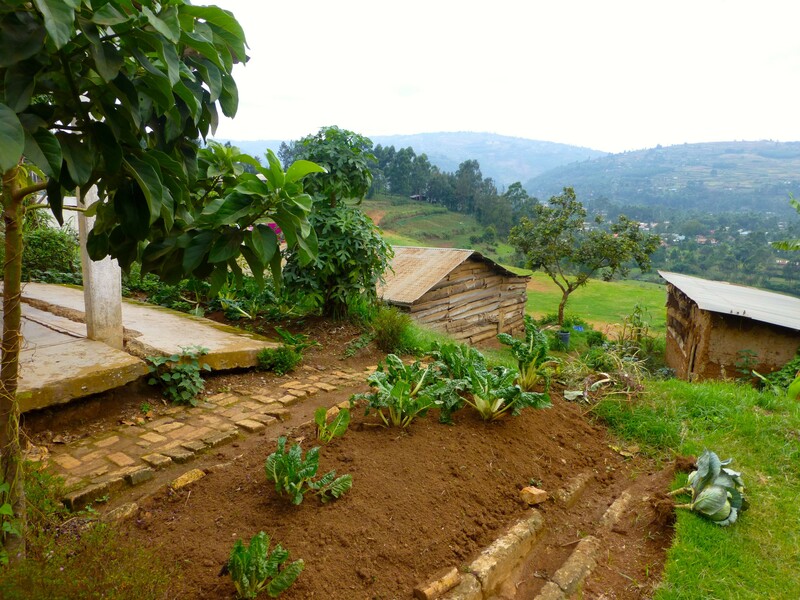 They then crossed the equator and spent time at Entusi Resort and Retreat Center at Lake Bunyonyi, Uganda, where participants met with a professor from the nearby Kabale University and a local farmer and toured the farmer’s property to learn about permaculture and organic farming in the region. Finally, participants visited Kigali, Rwanda, and met with representatives from the Ministry of Infrastructure, a Kobil Oil executive, and a former government official who now manages an energy consulting firm. The trip also included dinners with US State Department officials, leaders of local NGOs, and young entrepreneurs, among others. In advance of this trip, on April 14, 2014, the Wirth Chair hosted a brownbag lunch at the School of Public Affairs regarding energy issues in East Africa. Dr. Luka Powanga gave a presentation to a diverse group of attendees regarding the energy curse and energy development in Africa. Dr. Powanga is a professor in the School of Management at Regis University and the co-founder and Executive Director of the Global Commerce Forum, the organizer of the Energy Africa Conference, now in its seventh year. Carrying forward another key Wirth Chair goal of educating the public and providing a forum for the discussion of sustainability, the Wirth Chair continued its participation in a monthly Sustainability Series. New in 2014, the Sustainability Series is now a partnership between the Wirth Chair, the Posner Center for International Development, the Alliance for Sustainable Colorado, and Net Impact. The partners rotate as hosts of events held on the first Tuesday of every month, and the Wirth Chair hosted the events on April 1, July 1, and October 7. The April event topic was “Greening the US Military.” Expert panelists discussed the push toward renewables in the military. The US Department of Defense is the world’s largest energy consumer, and under the National Defense Authorization Act of 2007, each branch of the military is required to obtain at least 25% of its energy from renewable sources by 2025. Panelists included Park Haney from the Army’s Regional Environmental and Energy Office, Brett Jackson from the Department of Military and Veterans Affairs and the Colorado Army National Guard, and RJ Colwell, a JD candidate and former Army Captain. The July 1 event was about “Understanding the Politics of Hydraulic Fracturing in Colorado.” Through stakeholder surveys and media analysis, researchers at the CU Denver School of Public Affairs have uncovered trends in public perception and areas of convergence and divergence of stakeholder opinions regarding hydraulic fracturing. Associate Professors Tanya Heikkila and Chris Weible gave a presentation on their research regarding the politics and policies surrounding hydraulic fracturing in Colorado. The October 7 event looked at “Sustainability in K-12 Education.” With population growth, environmental degradation, and related issues on the rise, educating young people about environmental, economic, and social sustainability has never been more important. 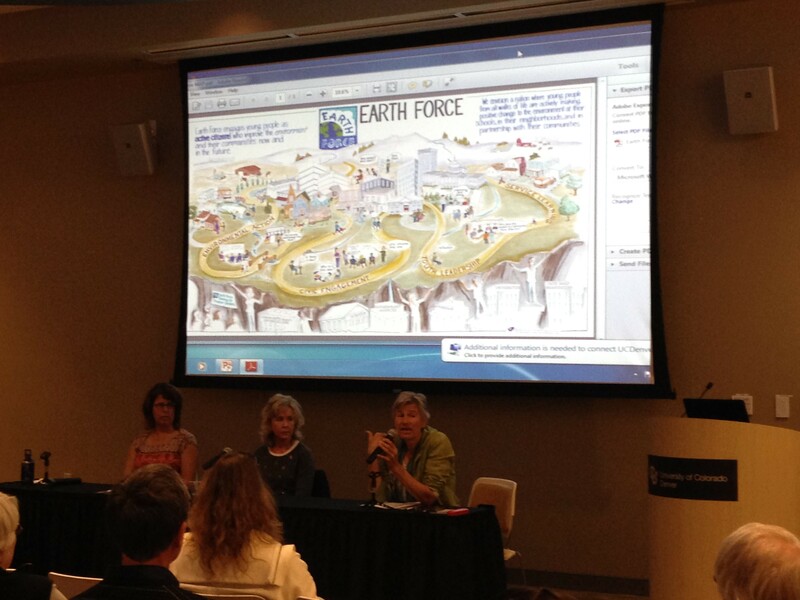 SPA Dean Paul Teske moderated the panel, and panelists included Dr. Nancy Degnan from Columbia University’s Earth Institute, Laurel Mattrey from the Denver Public Schools Sustainability Office, and Dr. Lisa Bardwell, the president and CEO of Earth Force. The Wirth Chair hosted a number of other events designed to educate the public or promote sustainability in our community and beyond, including two lunch meetings for leaders in sustainability education in Colorado and an evening event in October at which scientists from the Union of Concerned Scientists (UCS) presented the findings of an extensive new report on the state of forests in the Rocky Mountain Region. The UCS team was joined by Colorado forestry experts, conservation advocates, and policy leaders for an engaging panel discussion. Wirth Chair Mark Safty also offered his expertise on energy and sustainability in a variety of forums throughout the year. 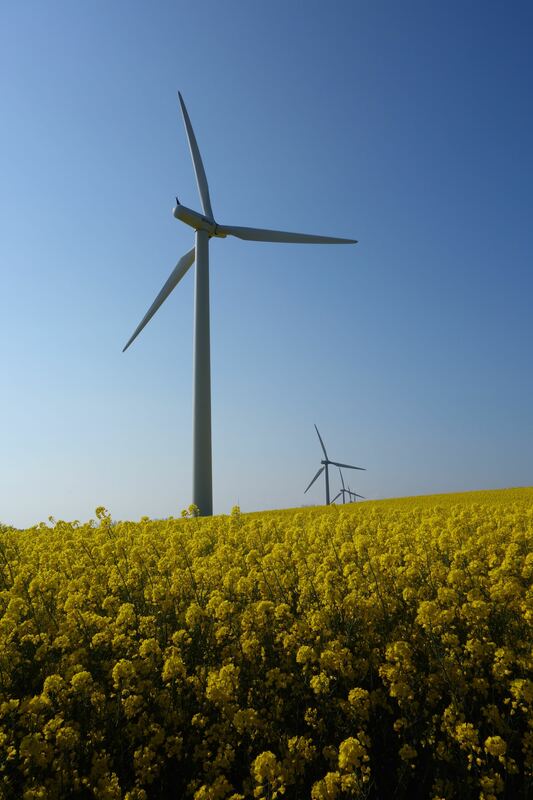 During the 2014 spring semester, Safty taught a three credit-hour course in “Renewable Energy Law, Policy, and Finance” at the University of Colorado Law School in Boulder. Over the summer, he taught a weeklong course at the University of Montana School of Law on “Renewable and Sustainable Energy Law and Policy.” Finally, during the 2014 fall semester, he taught a graduate-level three credit-hour course in “Sustainable Energy” at the School of Public Affairs, and also taught a three credit-hour course in “Energy Law” at the University of Denver College of Law. Mark Safty participated in a number of speaking engagements and panel discussions throughout the year. In the first quarter of 2014, he made presentations and conducted trainings on renewable energy issues in San Diego, Los Angeles, and New York. In April, he participated in a panel discussion regarding professional collaboration in policy development, where he discussed various aspects of productive collaborations based on his work internationally. The event was hosted by WorldDenver and the School of Public Affairs and was part of the Access Education Administration Institute, an intensive leadership workshop for university administrators and ministry of education officials from 25 countries. In May, Safty conducted a three-day training program in Kuala Lumpur, Malaysia designed to provide energy executives from Singapore, Malaysia, and the Philippines, with background on renewable energy development strategies. He also presented at the Ecologic Institute in Berlin on the topic of the status of renewable energy development in the U.S. In June, Safty presented a two-day workshop in Honolulu to energy companies and regulators about renewable energy development structures. He was a panel moderator and speaker at an American Wind Energy Association conference in October, and later that month was the lead facilitator for several roundtable discussions about sustainable infrastructure and agricultural development at the Africa Global Infrastructure Conference in London, which focused on development in Ghana, Tanzania, Uganda, and Rwanda. The heads of state of all four nations participated in the conference, along with their senior development advisors from the mining, energy, and agricultural sectors, financiers, investors, and other global firms focused on African development. In 2015, the Wirth Chair will continue and grow its existing activities and expand into new areas of research and education. Ongoing events, such as the Sustainability Series and the Wirth Chair Luncheon will continue, as will dialogues about sustainability education and the research and activities surrounding hydraulic fracturing. In early 2015, Professor Heikkila and Professor Weible will disseminate a new survey, this time targeting local government views and preferences about hydraulic fracturing, and the Wirth Chair will continue to convene stakeholders and community members to disseminate the research findings and to promote dialogue on hydraulic fracturing. To further its goal of partnering with faculty to bring academic work to the community at large, in 2015, the Wirth Chair will begin work on a research project about local governance of climate change mitigation and adaptation, in partnership with Professor Brian Gerber and Professor Benoy Jacob of the School of Public Affairs at CU Denver. On the global front, the Wirth Chair is partnering with the American-Danish Business Council for its second Extended Learning Trip, which will take place in May of 2015. 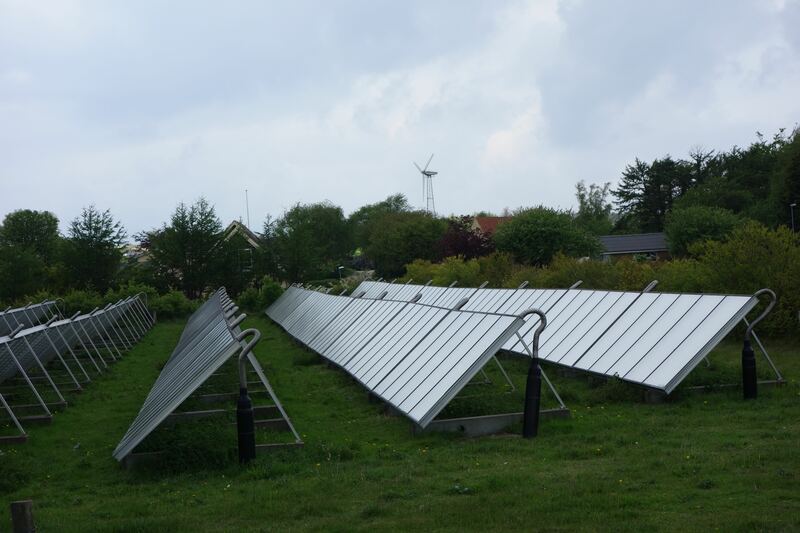 The trip will focus on Danish solutions to sustainability challenges and include visits to several sites throughout Denmark, including Samsø Island, where 100% of electricity and about 70% of heat comes from renewable sources. 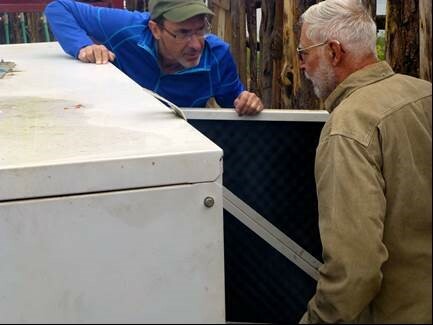 The Wirth Chair and the Wirth Chair Director will also return to East Africa early in 2015 to follow up and build on existing relationships, including those developed through the 2014 East Africa Energy and Sustainability Trip. This visit will focus on education and information gathering projects identified in 2014. To end this report, the Wirth Chair wishes to express its gratitude to all who supported its activities in 2014, and to offer our special thanks to Senator Tim Wirth for his vision and foresight in establishing the Wirth Chair. We have a full and engaged 2015 ahead of us and look forward to a continuing process of teaching, learning, and advancing thought and action related to sustainable solution to pressing challenges at the local, state, national, and global levels.